Based: San Leandro / Berkeley, CA. Founded: 1976, folded in 1987. Specialty: Distributor of IMSAI 8080 computers, S-100 bus 8080 & Z80 microcomputers & boards running CP/M operating system. Micro-Disk, Horizon, Advantage & Dimension computers. NorthStar Computers (originally named Kentucky Fried Computers) was based in San Leandro California and was one of the leading computer makers in the early 1980s. The Dimension model was a server computer. Based on the Intel 80186 microprocessor, the Dimension employed multiple screens each connected to a PC-compatible 8086 based slot card that mounted in the server. 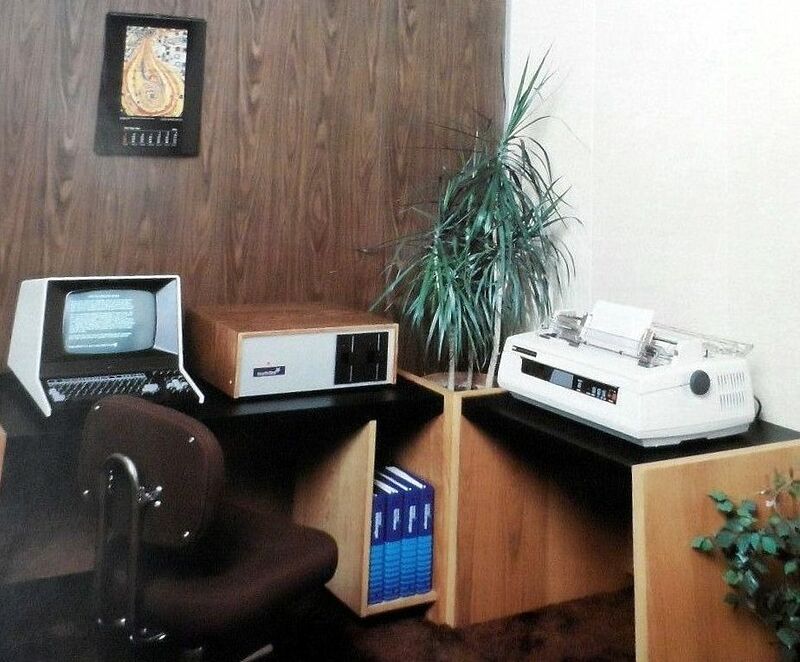 The screens and keyboards then connected to the workstation cards in the server. The unit shipped with MS-DOS and Novel NetWare was available as an option. 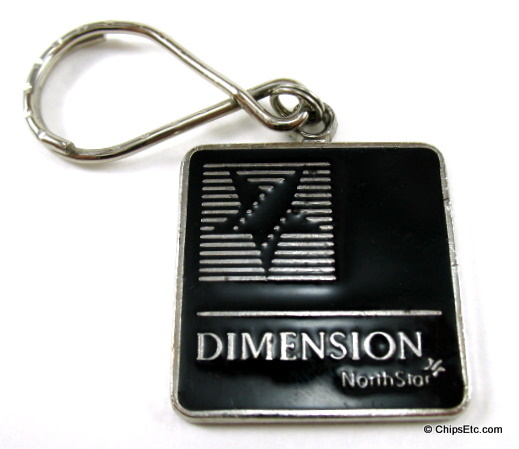 The Dimension was NorthStar's last product, and did not enjoy the success of NorthStar's previous models. 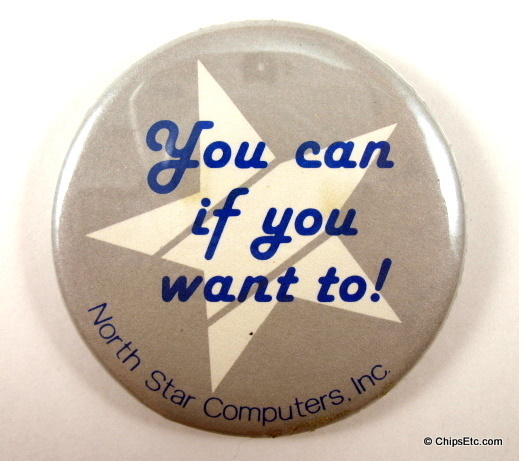 NorthStar went out of business about 1987, a victim of the success of the IBM PC. Polished steel keychain with black enamel. Measures 1 1/4" square. Reads "You can if you want to!" Measures 2 1/4 " in diameter.